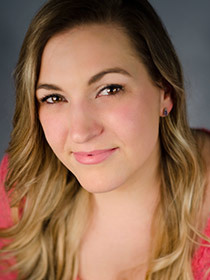 Molly Schoolmeester is a BFA recipient in Performing Arts, Vocal Performance, and Dance from The Savannah College of Art and Design. Some of her favorite roles include Stella Kowalski (A Streetcar Named Desire), Woman #2 (Songs For A New World and Edges), Thea (Spring Awakening), Sharpay Evans (High School Musical on Stage), and The Mad Hatter (Alice In Wonderland). She would like to thank Matthew Ray for this opportunity and her parents for their undying love and support throughout the years.